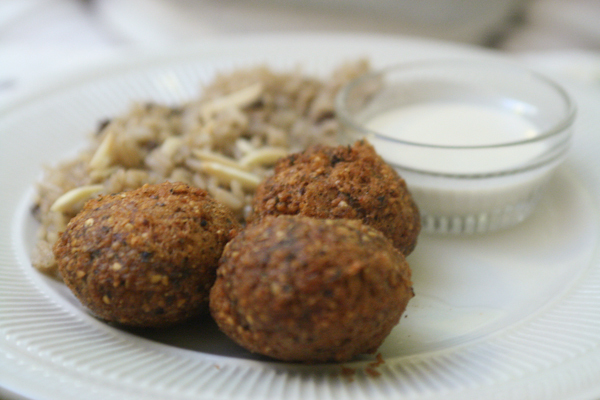 The Olive Branch in Bethlehem is a quaint little restaurant serving up traditional Middle Eastern cuisine that the owners grew up eating in Syria. They feature a full menu of appetizers, entrees, and desserts, with meals catering to both vegetarians and omnivores. 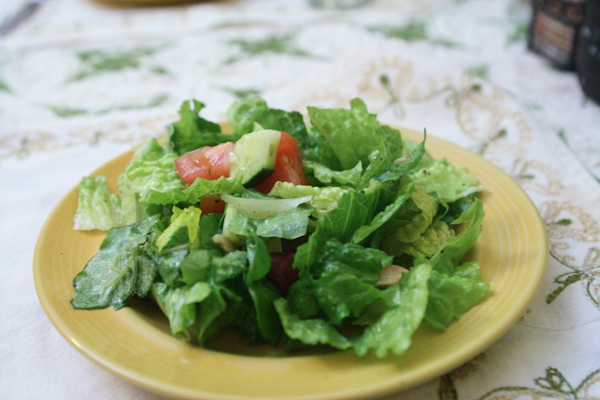 A salad served with each entrée is very plain with only the most basic of accoutrements. All would be well and good, however on more than one occasion the dressing used on the salad was so overpoweringly acetic one might be worried about it eating through their fork. On weekends a dinner special features fresh grilled fish in a traditional samke harra preparation. Served with a side of spiced rice with ground beef, the dish was terribly unsightly and lacked any sort of presentation. The Lebanese meal, made with tahini sauce, lemon, onions, and various spices, was poor. The catfish was affected by Geosmin and carried an overpowering soily note to them. 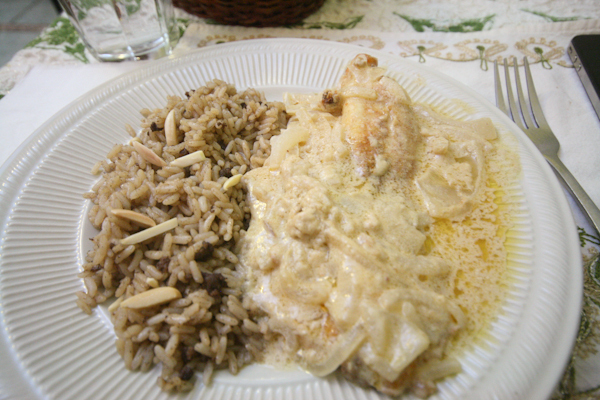 After some researching it looks like this dish isn’t traditionally made using catfish and is more often created with red snapper, grouper, or salmon. The tahini and spices themselves didn’t meld well and seemed unbalanced. The spiced rice was cooked well and palatable, offering the only saving grace to this meal. 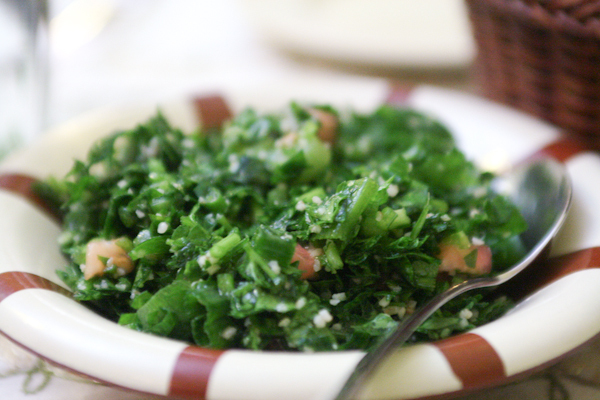 The tabbouleh salad tasted bright and fresh. A great balance of flavors and ingredients made this a favorite. 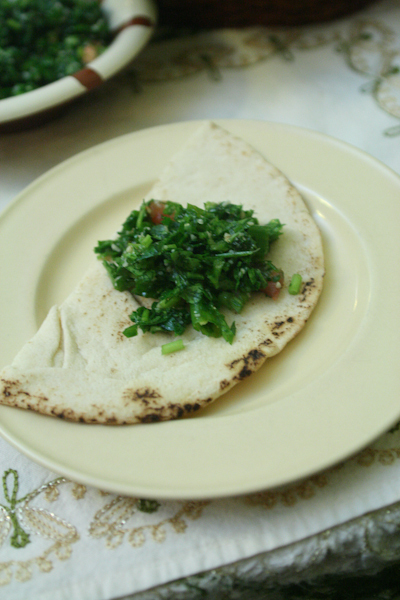 It was served with lightly grilled pita that brought together this simple, traditional dish very well. The falafel was delicious and true to style, if a bit dry. 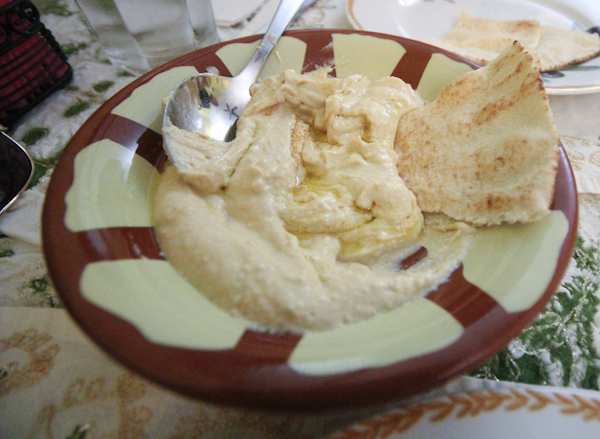 Hummus was served in a fairly large portion with the same grilled pita and was possibly the best you’ll find anywhere around the Lehigh Valley. A trio of kabobs proved to be a great pick. The kofta kabob had a distinct flavor that may prove polarizing for some, yet was well made, intense, and cooked perfectly. 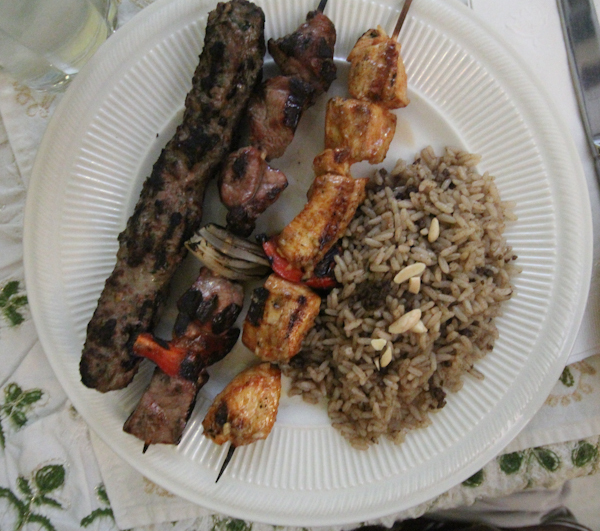 The chicken and lamb kabobs were both minimal yet spot-on. The three kabobs made for a nice array of textures and tastes in one entrée. Dessert-wise, a Persian rosewater pudding was mediocre. 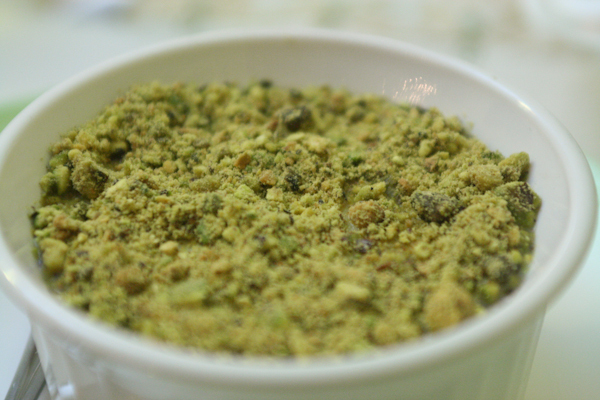 Adorned with a pistachio crust the pudding had an uneven consistency but potent flavor. 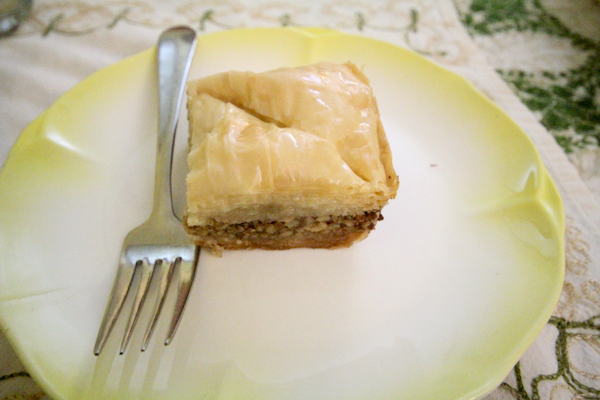 The baklava was far better with quintessential flaky filo and an impossibly heavy, honey-laden bottom. 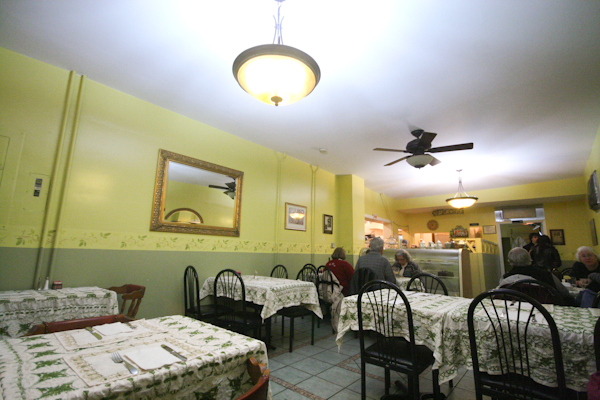 The atmosphere of the restaurant is quiet, subdued, and homely. The service was consistently unenthused and disinterested but checked back frequently for water refills and dish clearing. All said, this isn’t the place to go to if you’re looking for anything particularly impressive. The draw here would be the unique style of food and with that it’s hit or miss. When the food was good, it was great. When it wasn’t it was mediocre (rosewater pudding) to barely palatable (samke harra). The service wasn’t stand-out in any way, so perhaps you’d be best off grabbing something for take out and enjoying it with some beverages at home. Thanks for the review. I didn’t know what to do for dinner the other night, and this prompted my memory to return to the Olive Branch. This place has been a FAVORITE of my family’s for years! I’m sorry to hear that your experience was not similar to the exemplary service and meal that I’ve always had there. Although, we like a low-key, casual meal without being harassed by servers. We are always greeted warmly when we enter, and bid farewell, between that all we require is an order taken, served, and check on drinks. For dinner we had grape leaves, kibbe, lamb kabobs, and a wonderful Arnabit (cauliflower dish). I can easily be accommodated to enjoy a gluten free meal here, although what I REALLY miss are the desserts. I’m sorry to read that your Persian rosewater pudding was a miss. The Olive Branch is known for it’s desserts! I believe that the owner was a former dessert chef at the famed, yet extinct, Vienesse Pastries from downtown Bethlehem. I’ve had wedding cakes from Olive Branch that would make you forget what the bride was wearing. Although I’m not a fan of coconut, I know people who don’t leave Bethlehem without taking a piece of the coconut cake to go. In fact, there was a couple doing just that the night we were there. The Arabic coffee is high octane and delicious. For fans of The El Vee who have not yet enjoyed The Olive Branch please give this place a chance.